I put Kingston's new headset to the ultimate test; I took it on a flight with me, as I flew out to Japan recently. If a headset is able to drown out the sound of the airplane and people within it (so I can put music on and try and even, with luck, get some sleep), and is also able to deliver clear audio and sound quality so that I can enjoy the entertainment system, rather than fight with it, it's a rare - and very special - headset. I'm happy to say that the Cloud Flight Wireless Gaming Headset met that challenge in style. I finally got to watch Black Panther (yes, I don't watch Marvel films in the cinema. The audiences are terrible), and I even got to tune out and get some sleep while putting J-Pop on repeat. The headset managed to make the flight about as comfortable as a flight can get. I love how flexible the ear cups are, for a start. Kingston has designed them to really go the extra mile, allowing them to rotate up to 90 degrees, and that in turn means that they can comfortably sit on the ears of basically anyone. They're also just the right size that they can completely encompass the ears while also not being too bulky (important in helping to muffle outside noise, and though these aren't noise-cancelling headsets, they do help people "tune out" with ease). In terms of sound quality, because these headsets are weighted towards gaming, they're particularly effective and pumping out the bassy sounds, which is also ideal for an action film like Black Panther, though I felt the delivery of the lighter beats of J-Pop to sound a little fragile. Clear, but fragile. Of course, I wasn't really using the headset for the core functions that it was designed around with my little plane experiment. This headset includes the requisite 3.5mm wire for plugging into screens and devices, but it is predominantly a wireless headset, that you're meant to connect with your PlayStation 4 or PC via a USB attachment. 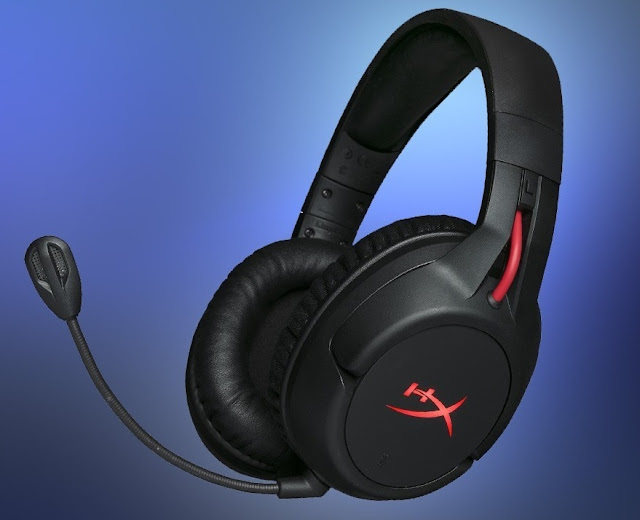 A detachable noise-cancelling microphone is there too for the full gaming suite. So a couple of things here; I wasn't a huge fan of the microphone. The microphone itself is a little small, meaning it doesn't wrap around the face quite as well as I would have liked. The sound quality is functional; your buddies will be able to hear you clearly as you sledge them through online matches. But, while it's reasonable for gaming purposes, it's also nowhere near the standards of a commercial microphone, and you won't be using it for any serious purposes beyond online chat. 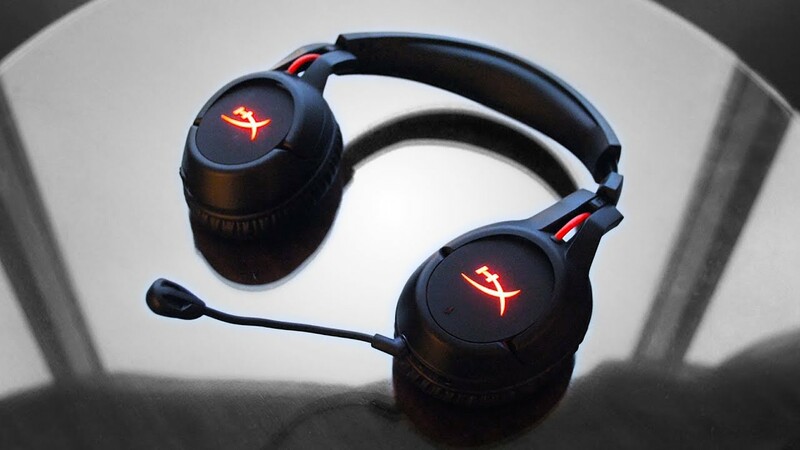 The headset boasts impressive battery life in wireless mode - 30 hour's life, we're told, and while I didn't sit down for a 30 hour gaming marathon to test that out, I was able to play multiple gaming sessions without needing a recharge. And, of course, the battery life is irrelevant when using the headset as a traditional wired headset. The wireless nature of the Cloud Flight Wireless also means that you are using the headset in wireless mode you can make use of number of different buttons and dials built into the headset itself, allowing you to control the headset's LED effects (a bit pointless when you're playing on your own and can't see the headset, but flashy when guests are around or you're playing in a competitive event), volume, and a mic mute option. I found the layout of these to be a bit confusing at first when playing with the headset on (so I had to feel my way around the buttons and learn which does what from trial-and-error), but they do help to enhance the experience once learned. Now the elephant in the room, as far as general purpose listening goes; this is a wireless headset that doesn't have Bluetooth, and that's disappointing. It means you can't use the headset with the most recent iThings without additional accessories. Bluetooth is such a convenient wireless technology, and while I appreciate that the headset needed the USB connection for the advanced functions that it enables, having a Bluetooth connection option would have been welcome, for people that want to use their headsets for a wider range of applications. The headset is actually quite gorgeous and works well as an "out and about" headset. It's a pity that Kingston stumbled at the final hurdle in enabling that. I prefer Kingston headsets for all my listening; they're good looking, sturdy, comfortable, and deliver an excellent balance of sound while also acting as "noise cancelling enough" that I can tune out the world around me - useful both for travelling and when you want to be really immersed in a game. 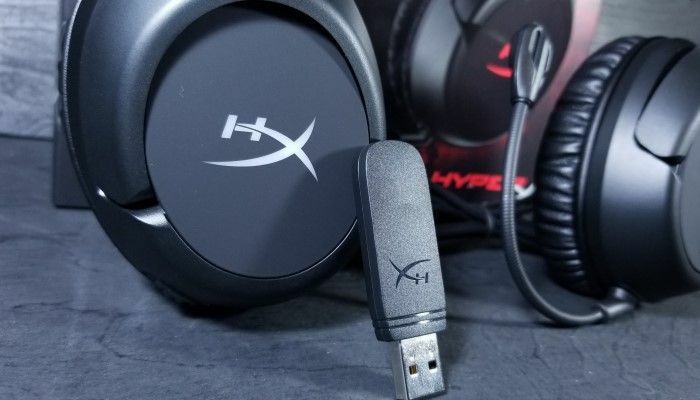 The HyperX Cloud Flight Wireless Gaming Headset continues that tradition in style. It's got a premium build, a solid feature set, and, aside from the lack of Bluetooth, works as well for music and movies on the go as it does for gaming on your PlayStation 4 and PC.